An emotionally intelligent tutoring system should be able to taking into account relevant aspects of the mental state of the student when providing feedback. The student’s facial expressions, put in context, could provide cues with respect to this state. 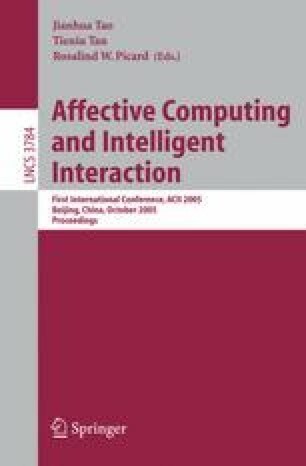 We discuss the analysis of the facial expression displayed by students interacting with an Intelligent Tutoring System and our attempts to relate expression, situation and mental state building on Scherer’s component process model of emotion appraisal. Part of this work was carried out in the context of the EU Project HUMAINE (IST-2002-507422).